Best Free Conference WordPress theme builds with Genesis Framework, Events supported by Event Calendar plugin, Responsive Layout, Easy to Customize! 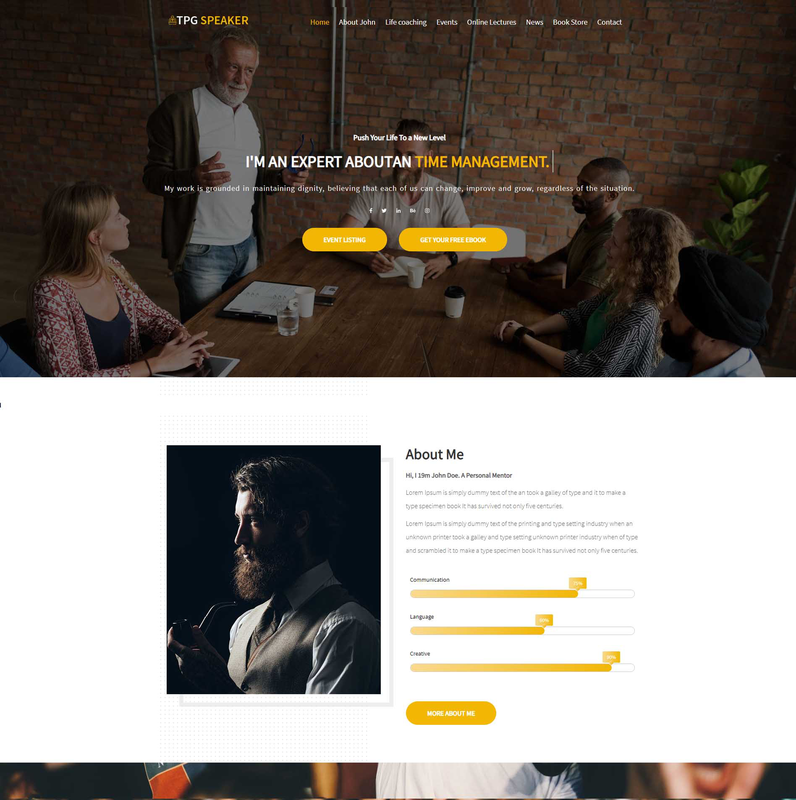 This is a beautiful WordPress theme for promoting personal/team skills, memorable activities, highlight records, experiences in many fields, sharing knowledge, and many more things you can do with this amazing TPG Speaker. 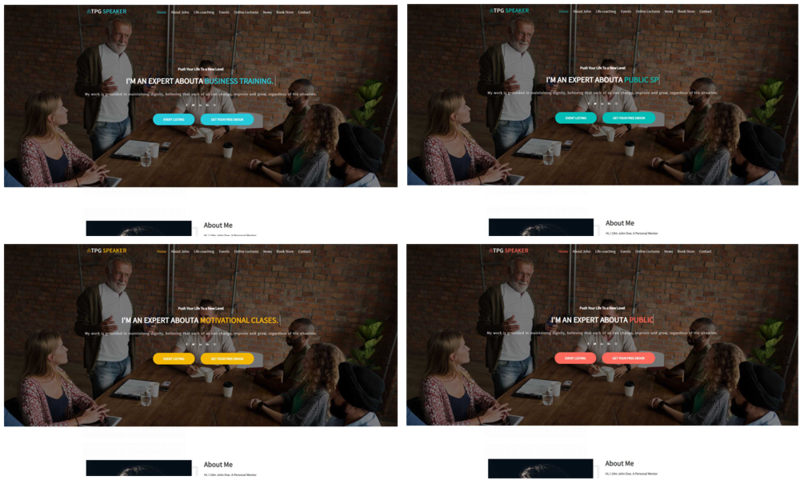 TPG Speaker is a premium Conference WordPress theme which is a special theme for showcasing skills and ability of motivational speakers, as well as any personal or company promotion websites. To compete with other famous speakers, it is necessary to approach audiences with differently, then our Speaker WordPress theme will be an appropriate solution for your site. It has been developed by highly-experienced developers with highly sense of aesthetics, they truly know how to attract visitors in the first look on the site with amazing layouts, well-organized content as well as providing features that both visitors and website admin need for a site. TPG Speaker has a strong base on the powerful Genesis Framework, support strong Page Builder, it is easy for you to customize the site as the way you want. Besides, the theme works really well on mobile devices, even on the latest models, so your site will look amazing on tablets, iPhone, iPads, PC screens,…with a modern and fully responsive layout. Especially, Event Calendar and Woocommerce are coming with this theme, therefore, it is convenient for visitors to look up, book an appointment, and you can run all selling activities on your site easily. It would be a big loss if you just ignore this WordPress Speaker theme, come and take a look at Live Demo now!